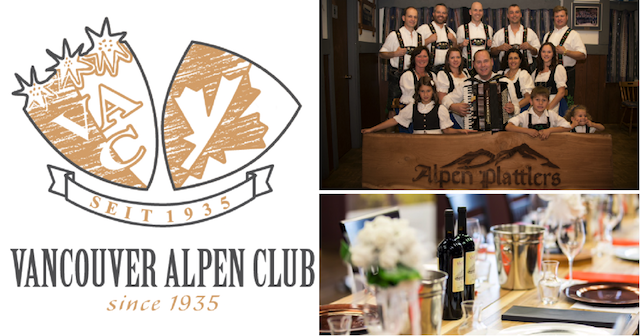 Ring in spring at a local winery, with the German flare of the Vancouver Alpen Club. Vinoscenti Vineyards presents a celebration of European Wine and Culture complete with German wine, charcuterie, dinner, dancing, and entertainment among the vines. Register: $65 per person, available online now! Call (778) 575-5885 for inquiries in the meantime. Included in the cover charge is a complementary German wine, a charcuterie buffet, and a short introductory presentation on German culture and wines given by the owner, Wine & Spirits Educator and Specialist Dr. Clinton Lee. This will be followed by dinner. 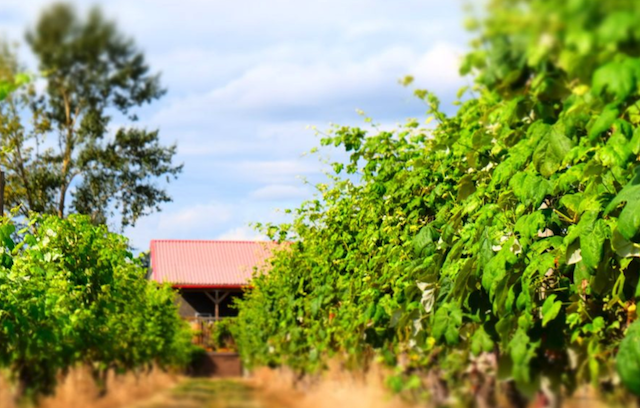 On the Vinoscenti Vineyards veranda, the Vancouver Alpen Club will be serving up German Bretzeln, Weisswurst Sausages, Sauerkraut and cheese cake. Guests can eat while enjoying some German music, and the lovely views from the deck. At 8:15pm, The Alpen Platters will perform a traditional (and really entertaining) Schuhplattler dance. They’ll also host a fun Q/A game that will give guests the opportunity to win tasty prizes. I will draw one winner at random from all entries at 12:00pm on Thursday, March 1, 2018. Must be 19+. Please enjoy responsibly. Follow Vinoscenti Vineyards on Facebook and Twitter for more information. Update The winner is Adea! learning about German culture and wines would be interesting. sounds like a fun event. Thanks for the chance to win. The vineyards look interesting and the dinner from the Alpen Club sounds delicious. Thanks for the chance to win! The vineyards look interesting and the dinner from the Alpen Club sounds delicious. Thanks. Very Wunderbar! My heritage is German but I don’t get out to do many European or German things. This would be “Big” fun! This would be much fun! Sounds like an awesome evening. I would love to take my sister for her birthday. Enter my name for this wonderful evening. Sweet. Good luck to you all. Huggies. This looks like an awesome event…would love to go!